Today is off to a slow start and it’s only 60 degrees out so I needed to find some ways to make my Friday morning better. If you haven’t seen Pitch Perfect yet you really need to change that. I’ve watched this movie so many times and YouTube videos of the finale even more. Still makes me tear up a bit. Ultimate mood improver though! New pants! Which I would show you a picture of but I just realized the picture I took also shows just how messy our spare room is right now so that’ll have to wait. They are this bright salmon-y color and they are awesome. 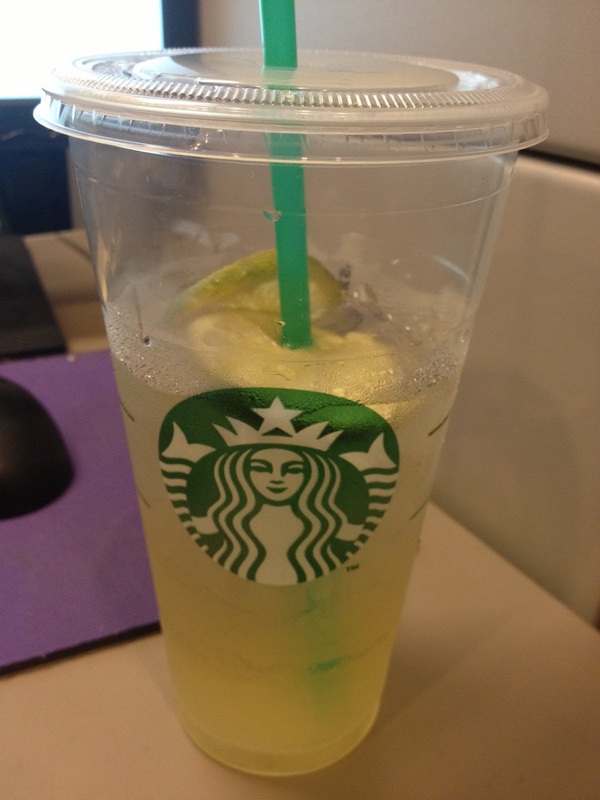 Starbucks Cool Lime Refresher. If you haven’t tried these yet, you really should. They use green coffee extract so it stills has some caffeine in it but it’s also totally refreshing. And it comes in the Trenta size- 31 fl. oz. of deliciousness. 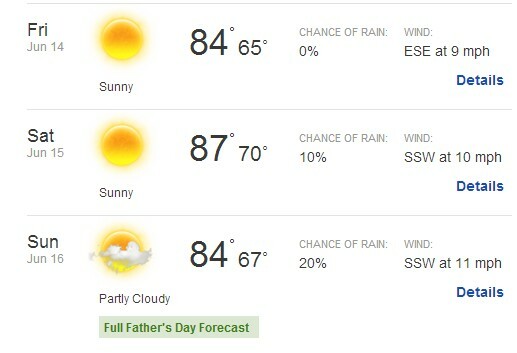 Although my beloved weather.com has been insanely unreliable lately I am LOVING the look of next weekend! This weekend isn’t as pretty, plus I’m working all weekend long so it doesn’t matter, but I have next Saturday off and I will be finding my way to a pool if this prediction comes true. And lastly, today is apparently National Donut day! I’m not the biggest donut lover (I know, I know, it’s weird) but I am a huge fan of free food so if I can hunt down a free donut I’ll be quite happy. I am not crazy about donuts either (genetic? ), but it reminds me how much I do love Dunkin Donuts cinnamon coffee, cream no sugar. We'll have to ask Al about her stance on donuts.